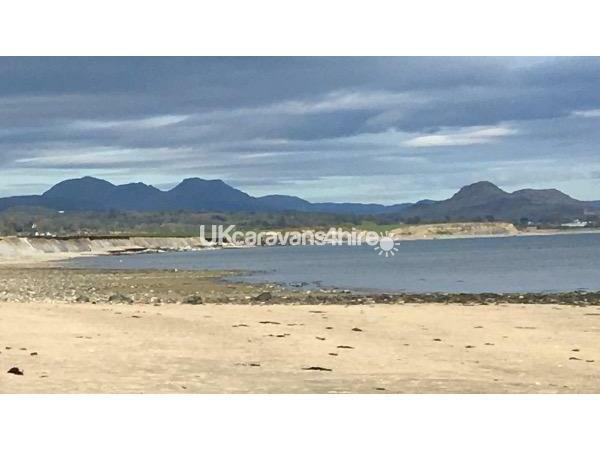 "DURING SUMMER HALF TERM MINIMUM OF 7 NIGHTS - SAT - SAT"
£100 deposit non refundable to reserve bookings. Here we have a Privately owned beautiful Holiday Let situated on "THE STABLES". This holiday let is furnished to a very high standard offering a home from home holiday experience. 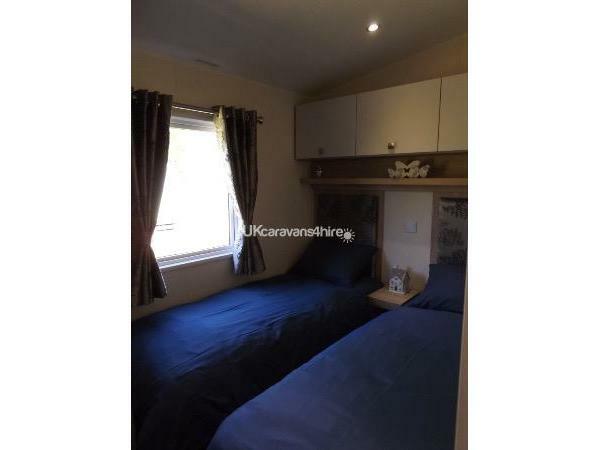 The Holiday Let has 2 bedrooms that sleeps upto 4 people with a pull out sofa bed in the lounge for a further 2 people if needed. The Main double bedroom is beautifully fitted with modern furniture, a spacious walk in wardrobe and a large Dresser. 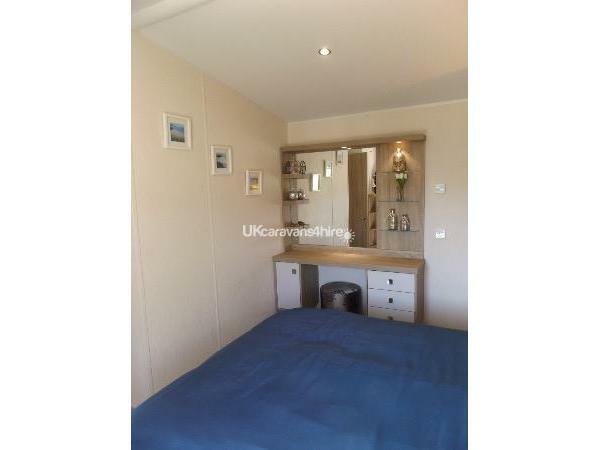 It is ensuited with a walk in shower, w/c, wash basin and fitted furniture. The Bedroom also has a flat screen TV. 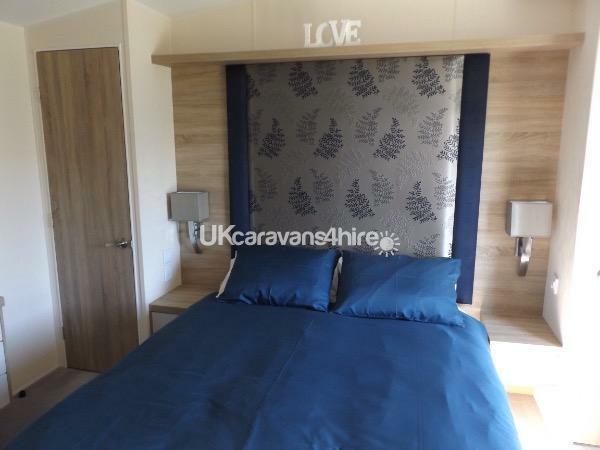 The Twin bedroom has 2 x single beds and lovely modern fitted units and wardrobe. 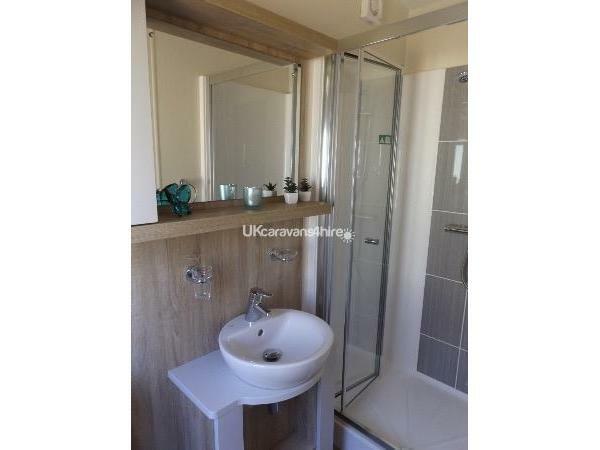 The Main Bathroom has a walk in shower, w/c, hand wash basin and fitted Bathroom units. The Kitchen is fitted with high spec kitchen units. 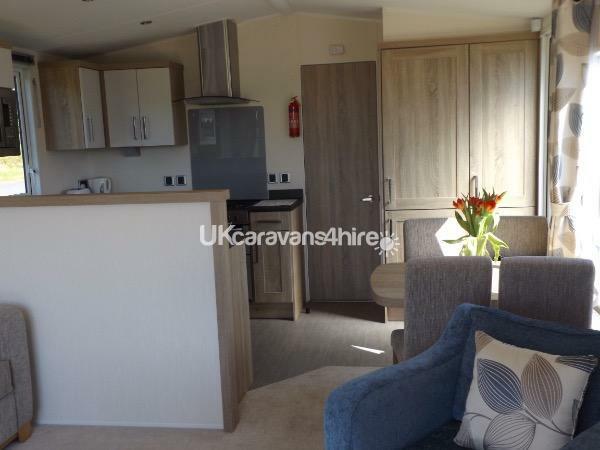 It has a full size cooker and extractor, fridge/freezer, built in microwave, kettle and toaster and is fully equipped with cutlery, crockery, pots and pans and kitchen utensils. 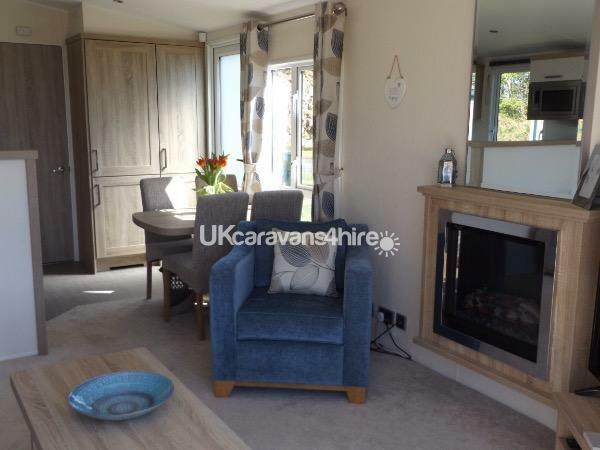 The Lounge/dining area has a dining table and chairs, a 43" HD LCD TV with Freeview, a DVD player with an assortment of DVD's and a Bluetooth speaker. 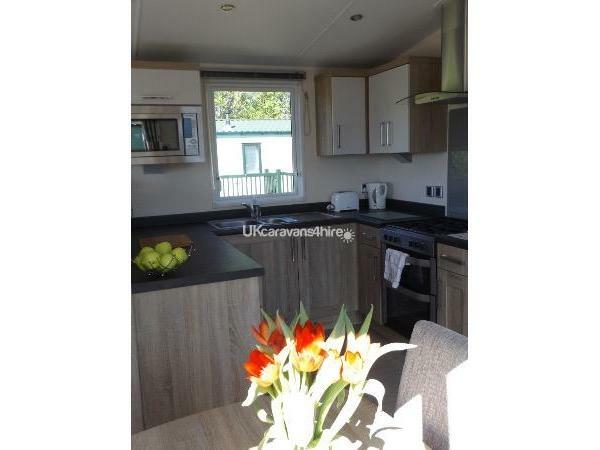 The Holiday Let is fully central heated and double glazed. The spacious outside decking area has a Ratan dining Cube and a coffee table with chairs. It has parking available for 2 cars. The Holiday Let is situated on "THE STABLES" a private gated location set in idilic surroundings, only a short walk to all the activities and beach. Hafan Y Mor is one of Havens Flagship Holiday Parks offering a fun packed Haven Holiday experience or a quite break away. Burger King, Pappa Johns Pizza, Fish and Chips, Starbucks and Millie's Cookies. Bedding is included in the cost of your holiday as well as Gas/Electricity and water. Please note...... Fun works passes are available from the main reception if required at an extra cost. Arrival Check in 3pm(check if available earlier). 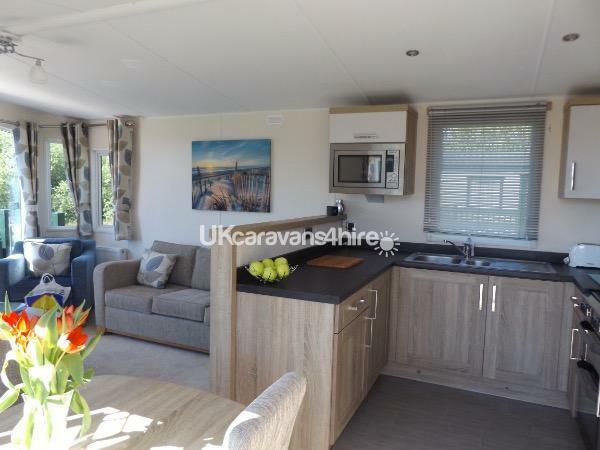 This time is for entering the Holiday Let but you will have full access to the Holiday Park. Should you need more than 1 Holiday Let or this one is booked - check out reference 507 and reference 6254 for our others pitched on "Cardigan Bay"
Additional Info: (Some facilities may require a membership and an additional charge)Pub/Club, amusement arcade, indoor pool, Laundrette, Crazy Golf, supermarkets, Take Aways, Restaurant, kids club, aerial adventure, boating lake,Segway, roller skating, woodland and coastal walks.